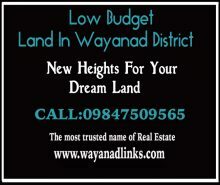 15 cent house plot for sale at Nadavayal. 25m bus road frontage. Coconut tree(6) cultivated in this plot, Facility of open well,electricity are available. Plot is fully fenced. This land is very close to school,town etc…. Asking price : 1.5 Lakhs / cent. 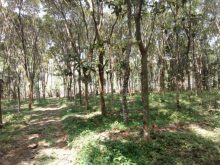 11 Acre Land with house for sale at Kallodi.Main cultivation tea and coffee.Mud road frontage.700m from tar road.Long beautiful view and hill area.400 m from river side.Availability of open well and pump house.There is a facility to pump water up to the top of the hill.Beautiful location.Good for resort purpose land.The land has clear documents,with proper pattayam . 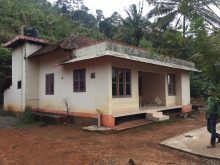 Asking price : 20 Lakhs/ Acre. 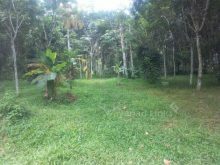 3 acre 65 cent land for sale at Nadavayal, Wayanad.3 acre dry land with 65 cent wet land.Sulthanbathery Taluk,Poothadi Panchayath,Poothadi Village.10 m mud road from tar road.This land is suitable for farm purpose.Rubber,pepper,coffee,arecanut,coconut ,some valuable trees are cultivated. 5 Acre paddy field for sale at Panamaram. 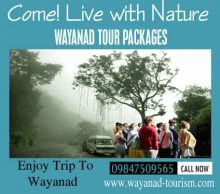 This land is located 4km Inside from Panamaram – Mananthavady route. Soling road frontage. Electricity , water facility are available. There is a water stream in the property. Asking price : 6 Lakhs/ Acre. 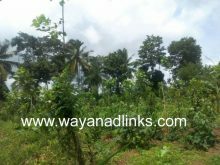 2.5 Acre agricultural land at Nadavayal, 200m mud road from tar road, 3km from bus route. Crops like coconut, Jack, arecanut, rubber,mango trees are cultivated. Facility of electricity are available. Total price : 50 Lakhs. 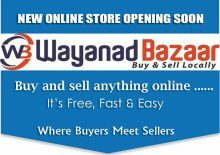 The plot is only 15km from Cochin International Airport, 7 Km from North Paravoor. 10 Km from Aluva Town. 9 Km from Metro Station. Schools, Colleges, Church, Mosque, Temples are within 5km. facilty available. Asking only 5 lakhs.